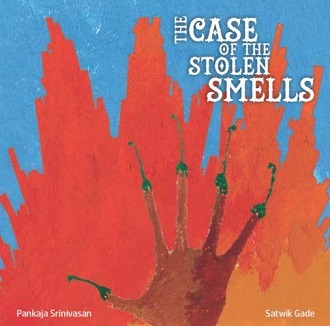 written by Pankaja Srinivasan and published by ‘Karadi Tales’. This book tells the tale of Raju, who has a modest lunch of rice each day. One day he discovers the delicious smell of bajjis coming from Babu’s stall. He starts to have the most wonderful lunch – purely tasting the smells! Babu soon realises what Raju is doing and demands that Raju pay for the smells. Thank you to Vania for introducing us to the book and for contacting The Story Room from so far!